Throughout the year we've been picking a series of films to complement Ikon Gallery's decade-spanning celebration of their fiftieth birthday. This week we're up to the 90s, and Abbas Kiarostami's Close-Up. It's one of our favourite films, and perhaps inevitably one of our slowest sellers. Persuading Birmingham audiences to go and see twenty-year-old Iranian movies has never been easy, but now that so much is available as instant home entertainment it's perhaps tougher than ever. If you've never seen a Kiarostami movie, it's also quite tricky to explain what's so special about them. Close-up is a great place to start though. 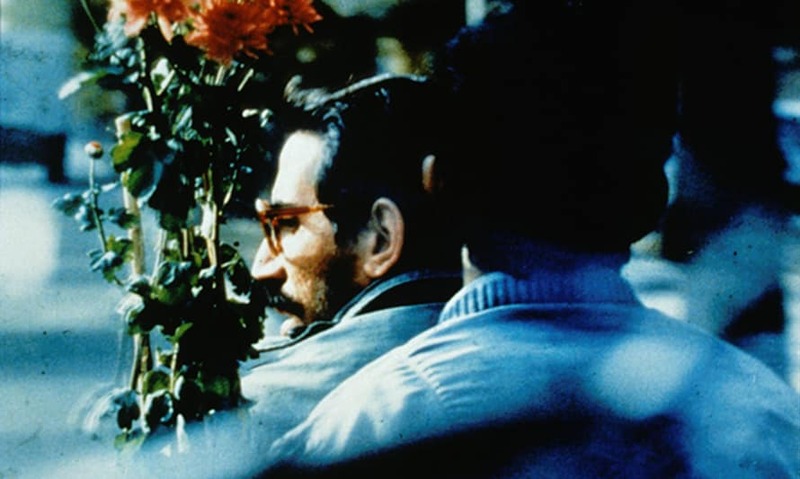 Inspired by a magazine article about a poor man who impersonated filmmaker Mohsen Makhmalbaf and hoodwinked a middle-class family, Kiarostami managed to persuade the story's real-life protagonists to play themselves in his semi-documentary, which becomes a surprising and moving reverie on the power of cinema. As Godfrey Cheshire describes in an excellent overview of the film for Criterion, this was one of the first occasions when cinephiles in the West began to wake up to Iran's fertile film culture. Combining self-awareness and metaphysical concerns with a sharp eye for the everyday, this movement had a global influence - although sadly, many of its main proponents are now prevented from working at home, or like Kiarostami ply their trade abroad. As we fret over the sales for Saturday's show (also featuring a short talk by Dr. Saeed Zeydabadi-Nejad, and only £5 folks! ), we console ourselves that Italian director Nanni Moretti went through the same thing when screening Close-up at his cinema in Rome. His 1996 short, The Opening Day of Close-up, nicely captures the anxiety of the film programmer and the effect this can have on long-suffering colleagues.